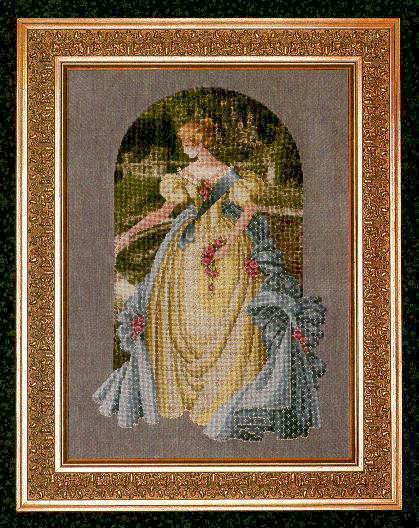 This design is considered to be a masterpiece of stitching. The gown is regally done in cream and sea blue brocades using #4 Kreinik braid. 32 count Belfast Dirty Linen (2 over 2) from Zweigart. 11 3/4" x 17 1/2"
Balger Braid from Kreinik Manufacturing.